Last November the Public Broadcasting Service (PBS) News Hour television program traveled to Iran to randomly cover the country’s dwindling Jewish population in what was nothing more than a borderline propaganda piece to bolster the totalitarian radical Islamic regime controlling Iran today. Out of all of the news-worthy topics PBS could have covered such as the Iranian regime’s horrific human rights abuses, the regime’s massive corruption, the regime’s inaction during the country’s horrendous drought or the regime’s billions of dollar investments in proxy terror groups instead of rebuilding country’s dilapidated infrastructure– but PBS could only focus on the status of Iran’s Jews. 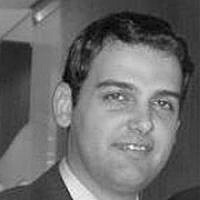 As an Iranian Jewish journalist who has been monitoring the status of Jews in Iran and reporting on them nearly two decades, I found the PBS story was not only factually bogus because it inaccurately portrayed the lives of Jews in Iran as safe, but their use of Iran’s Jews in the story to make the evil Iranian regime’s leadership look like benevolent and tolerant rulers was highly unprofessional. At the time the story came out, I chose not to respond to its ridiculous claims because it was totally “fake news” and unworthy of a response until now. Today I have decided to speak out because of a horrific incident that recently befell my Jewish community in Iran. My recent reporting on the theft of three antique torahs from a synagogue in Tehran’s Jewish ghetto in late February is perhaps the best rebuttal or exposure of the blatantly false claims PBS made last year in their news report about Iran’s Jews. The PBS story claimed that Jews in Iran have had “ups and downs” since the 1979 Islamic revolution in Iran and quoted Homayoon Sameyeh, the president of the Tehran Jewish Committee who claimed the Jews of Iran were “safe and respected”. The PBS story also claimed that the Jews of Tehran were supposedly so safe and free that the 13 synagogues in the city had no security measures in place. The PBS story likewise interviewed two Iranian Jews claiming they felt safer living in Iran than in America. The average American viewer who may have seen this ridiculous PBS story may have believed these bogus claims and the portrayal of life as good and safe for the Jews of Iran, but nothing could be further from the truth. Iran’s estimated 5,000 to 8,000 Jews live as third class citizens and are risking their lives while living under a regime that could instantly turn on them because they are non-Muslims and cannot be tolerated under Iran’s radical Shiite Sharia laws. The situation for Jews living in Iran have been so horrific that the community which was once 80,000 strong prior to 1979 have fled the country in mass and resettled in America, Europe and Israel. Not only does the regime in Iran threaten the lives and property of the country’s Jews, but radical Islamic elements in the country are basically free to do as they wish in the country against Jews and other religious minorities. Such was the case on February 28th of this year when three antique Torah scrolls were stolen by unknown thieves from the centuries-old Ezra Yagoub synagogue located inside Tehran’s Jewish ghetto. A recent statement released by the Los Angeles-based Iranian American Jewish Federation confirmed the incident occurred but indicated no motive was known for the crime and the Iranian regime’s authorities have not even investigated the crime! Now PBS and other apologists for the Iranian regime may claim that this incident was a normal everyday robbery. Yet that claim would be ridiculous because everyone that knows the Iranian regime is well aware that the regime’s Intelligence Ministry keeps a close eye on the Jewish community in Iran and knows of everything that involves the country’s Jews. Likewise, those familiar with Tehran’s 700-year-old Jewish ghetto neighborhood are well aware of its very narrow streets in which one person can barely pass through at a time. No doubt any person trying to carry out 30 to 40 pound torah scrolls housed inside ornate casings through those narrow streets during the day or night, would be no easy task to undertake and such a person would have no doubt been seen by someone. So, it would be highly unlikely the regime’s authorities would not know who committed this crime, or arrest those suspected of this crime if they really “love and respect” the Jews. One would think and if the regime was truly interested in protecting the Jews or giving an image of protecting the Jews, then at least they would have investigated the crime that occurred. Yet we have heard and seen nothing from the Iranian regime as to this incident after nearly a month and this silence speaks volumes that the Iranian regime has created an unsafe, unstable and lawless environment for the Jews of Iran. This crime against the Jewish community of Iran clearly proves that the PBS story on Iran’s Jews form last year was pure one-sided lies and pro-Iranian regime propaganda! The Iranian regime’s authorities either directed their own thugs to steal these antique beloved torahs from the Jewish community or looked the other way while criminals stole the torahs from the Jewish community. Either way the PBS story was false and the Jews of Iran live in clear danger in that country. Again, apologists for the Iranian regime and the regime’s own English speaking leaders may claim the theft of these antique torahs was only an isolated incident of crime against the Jews. Yet Iranian Jewish activists such as myself who have been closely monitoring the Iranian regime’s actions against the country Jews for years know that such a claim would also be nothing more than more lies! In late December 2017 two synagogues located in the southwestern Iranian city of Shiraz were vandalized by unknown assailants who left a total of five Torah scrolls and numerous prayer books damaged or totally destroyed. Likewise, Tzedakah charity boxes were also stolen from the synagogues. The incident was never investigated by the regime’s authorities and no arrests were made in connection with the crime. Moreover, in November 2012, Toobah Nehdaran, a 57-year-old married Jewish woman, was strangled, then repeatedly stabbed to death, and her body was mutilated in a ritual manner by thugs who had broken into her home located inside the Jewish ghetto within the Iranian city of Isfahan. Nehdaran’s gruesome murder was never investigated by Iranian authorities and suspects were never arrested in connection with her murder. Also in January 2011, the Iranian student Basiji militia, of the Abu-Ali Sina/Avicenna University in the western Iranian province of Hamadan rioted outside the entrance of the Esther and Mordechai tomb and threatened to destroy it if Israel destroyed the Al-Aqsa mosque in Jerusalem. The Iranian state-run media news reported at that time that Basiji militia had removed the mausoleum’s entrance sign, covered the Star of David at the mausoleum’s entrance with a welded metal cover and demanded the site be placed under the supervision of the local Islamic religious authority. In the end the tombs, were not damaged nor destroyed. In 2000, the Iranian Jewish community in the U.S. was at the forefront of an international human rights campaign to save the lives of 13 Jews in the Iranian city of Shiraz that were facing imminent execution after being arrested on trumped up charges of spying for Israel and the U.S. Ultimately, the Shiraz Jews were not executed but sentenced to prison terms and have since been released. And these events are just the recent crimes committed by the Iranian regime against Iran’s Jews. According to a 2004 report prepared by Frank Nikbakht, an Iranian Jewish activist and head of the Los Angeles-based “Committee for Minority Rights in Iran,” since 1979, at least 14 Jews were murdered or assassinated by the regime’s agents. Likewise, 11 Jews have disappeared after being arrested, at least two Jews died while in custody and another 11 Jews have been officially executed by the regime. In 1999, Feizollah Mekhoubad, a 78-year-old cantor of the popular Youssefabad synagogue in Tehran was the last Jew to have his eyes gouged out and to be officially executed by the regime, stated the report. The November 2018 television news story aired by PBS surprisingly failed to mention all of these heinous crimes the Iranian regime has committed against Iran’s Jews for the last 40 years. While the report did briefly mention the regime’s 1979 execution of Habib Elghanian, the Jewish community leader in Iran, it failed to indicate that he was wrongly executed on false charges of spying for Israel and America. Moreover, the PBS story claimed there were 15,000 Jews living in Iran today (a number which is inaccurate) but surprisingly failed to mention that there were once 80,000 Jews living in Iran prior to 1979 and their situation must have been dire in Iran if there are only 15,000 left! One is left wondering why PBS aired such a blatantly false story about Iran’s Jews? Why didn’t PBS do their journalistic “homework” and report on these crimes against the Jews of Iran since 1979? Why didn’t PBS’s reporter or producer for this story share the perspectives of the Iranian Jewish leaders or activists living in America to get the other side of the story about the status of Jews in Iran? Moreover, one is left wondering why did PBS randomly decided to do this story about Iran’s Jews at this point in time when there were more pressing stories about Iranian domestic affairs they could have covered? All of these questions in my opinion can be answered the same way: PBS was doing the Iranian regime a public relations favor by covering the regime’s supposed “benevolence and safe treatment” of Iran’s Jews to bolster the regime’s image of a failed government, intolerant, human rights abusing, terrorist sponsoring state. 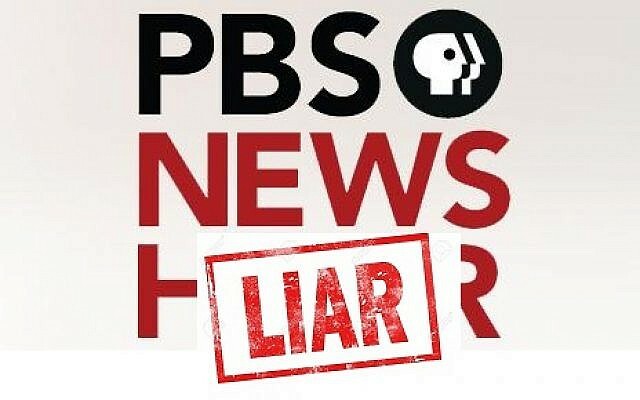 PBS is not guilt of poor journalism, PBS is guilty of becoming a wing of the Iranian regime’s propaganda wing! U.S. officials and members of Congress who fund PBS should investigate this story and the PBS editorial board’s clear bias in favor of the Iranian regime, instead of covering the news fairly and accurately. Now PBS and other apologists for the Iranian regime may claim that Iran’s Jewish leaders and individuals interviewed for their November 2018 story who say Iran is a “safe and respectful” place for Jews to live should be considered in judging their claims made in this story. My response is NO! The Iranian regime is always quick to pull out their token Jewish member of Iran’s Parliament to show that Iran’s Jews have “fair representation” in the government or live “free and safe lives”. Yet what the mainstream media does not realize are that comments made by any Jewish leaders in Iran or by Jews in Iran to the Western media lack any credibility since these Jews have been hand-picked by the Iranian Intelligence Ministry to parrot what the regime tells them to say. Moreover whenever any journalist goes to Iran to interview the Jews, they are handed over to hand-picked Jews who have been given a script to read from. Again if these Jewish leaders do not repeat what their master radical Islamic puppeteers tell them to say, then they will face dire consequences and the Jewish community in Iran may also potentially face similar dangers. Or even if the Jewish leaders in Iran are not under duress to say good things about the Iranian regime, they may be well paid collaborators of the regime which again leaves us the option that they cannot be trusted. So it cannot be a surprise that these Jewish leaders in Iran will say and do whatever the regime’s Intelligence Ministry directs them to say and do. What is even more outrageous about Iran’s propaganda machine is that the regime does not grant visas to journalists it deems unsympathetic to their regime. The PBS reporter and news crew for this story most likely got their visas from the Iranian regime to come to Iran because they were aware PBS would give them positive coverage in the American media. So the Iranian officials have had pretty much free reign in spewing their one-sided message regarding Iranian Jews that is in no way objective. This is by far not fair and balanced journalism! 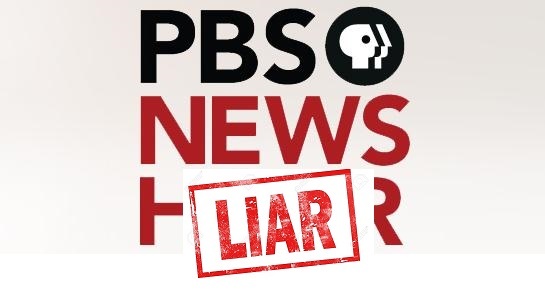 Americans of all faiths who value truth, freedom and democracy must stand up and voice their opposition to news media outlets like PBS who are not interested in covering news stories accurately but instead seeking to help the image of a totalitarian state with “fake news”. Likewise, the use of Jews in a bogus propaganda story designed to bolster the image of an anti-Semitic regime should never be tolerated as it is reminiscent of the same Nazi propaganda use of Jews during WWII to show they too were supposedly “benevolent” to Europe’s Jews.